The Rat Pack is composed of two small pieces, the Sniffer and the Sender. The Sniffer works on either phantom power alone or power supplied by the Sender. The Sniffer shows the cable is good or has faults via three two-color green and red LEDs. The Sender is battery powered and only supplies power when hooked to the Sniffer insuring long battery life. The Rat testers are pocket sized and can easily check XLR cables even those where each cable end is in a different location. 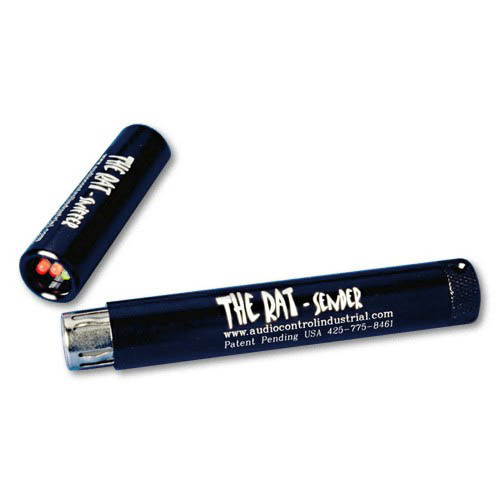 Very compact at 5/8″ diameter by 3″ and 5″ respectively, The Rat Sniffer and Sender are sold as a set, The Rat Pack, as well as separately.